Learn the insider secrets of using Instagram to take your personal and professional brand and business to new heights. In the this practical and pragmatic session you will learn how international business speaker and Director of ASX-listed emerging graphite producer Walkabout Resources (ASX:WKT), Thomas Murrell MBA CSP used this social media tool to engage with new audiences. He will explain in intimate step-by-step detail what he did and how he did it. This presentation will also show you the importance of well set-up visuals and the power of using hashtags. He will also share his secrets on how to link Instagram to other social media platforms such as Twitter, Facebook and LinkedIn. Thomas will also show you how to leverage content with other traditional forms of media and how to use these materials to build credibility and visibility. This presentation is full of practical case studies and real life examples you can easily apply to your own business, personal or professional brand. 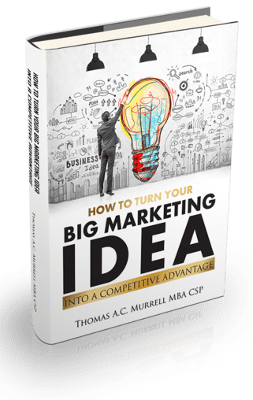 Thomas Murrell, MBA, CSP, is an international business speaker, author and advisor who is recognized as an authority on investor and financial relations as well as public speaking. 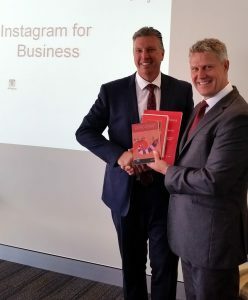 His company, 8M Media and Communications provides counsel to an elite group of companies listed on the Australian Stock Exchange ranging from top 500 companies through to start-up biotechnology, medical and exploration companies. Thomas is a Director of emerging graphite explorer Walkabout Resources (ASX:WKT) and has been a Director of Investor Central, a Singapore-based financial news service since 2002.
qualification and accreditation for professional speakers. His last book, Understanding Influence for Leaders at All Levels was published in seven countries including the United States and United Kingdom. His latest book, Insider Secrets of International Speaking is due for world-wide release on December 21st by McGraw-Hill International. He is a graduate of three Australian Universities, gaining his MBA from the University of Western Australia with distinction. This unique combination of media savvy, corporate communications and business educator makes him one of Asia Pacific’s most sought after experts on capital investment marketing, investor relations and public speaking.